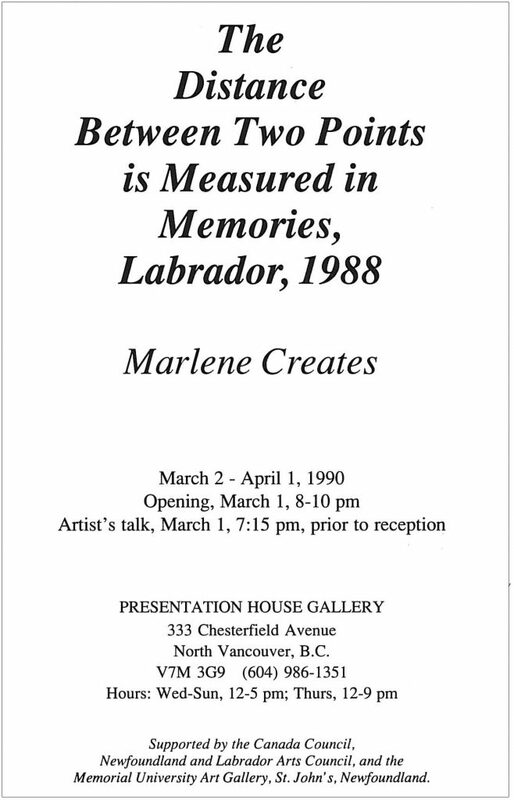 Our 1990 exhibition includes the complete suite of eighteen works produced by Marlene Creates in Labrabor in 1988. Creates has written about her work: " I am interested in in the realtionship between human experiance and the landscape and, in particular, the ways in which the landscape is richly and profoundly differentiated into places. How do we distinguish one place from another? What constitutes a landmark? How do different people percieve the same area of land? What points do they remember? These are some of the questions I have been considering in my work"
Supported by the Canada Council; the Art Gallery of Memorial University of Newfoundland; The Newfoundland & Labrador Arts Council; Air Canada; and Government of Canada through the Department of the Secretary of State (Multiculturalism). 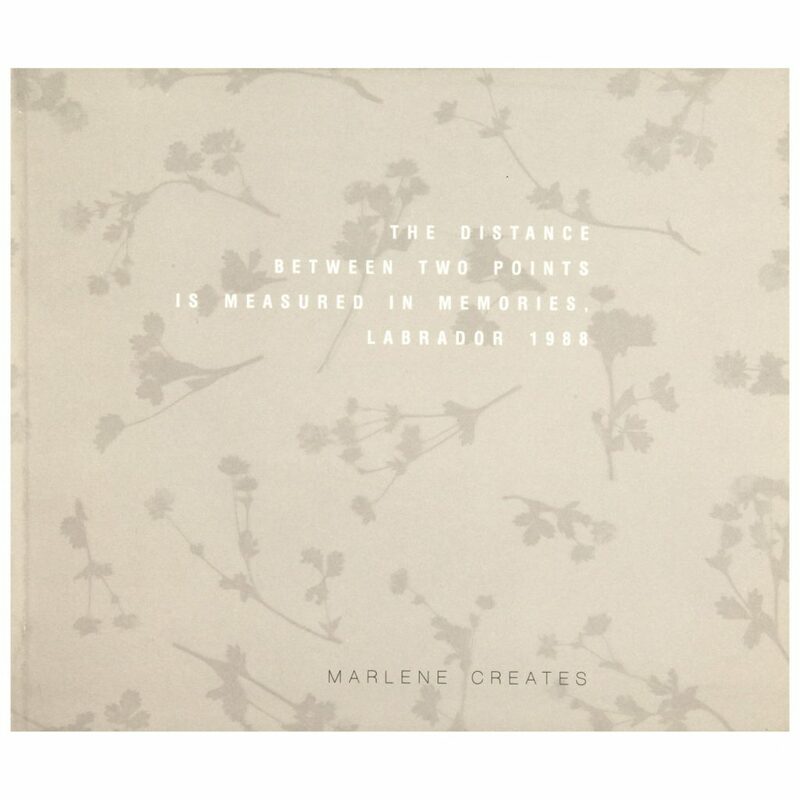 The publication for our 1990 exhibition includes the complete suite of eighteen works produced by Marlene Creates in Labrabor in 1988. Creates has written about her work: " I am interested in the relationship between human experience and the landscape and, in particular, the ways in which the landscape is richly and profoundly differentiated into places. How do we distinguish one place from another? What constitutes a landmark? How do different people perceive the same area of land? What points do they remember? These are some of the questions I have been considering in my work". Curated by Gallery Director Karen Love. Essay by Jacqueline Fry. English translation by Elizabeth Richie. Catalogue designed by David Clausen, printed by Hemlock Printers.